On Nov. 4, Sen. Lisa Murkowski wrote an Alaska Dispatch News op-ed piece praising the return to "regular order" among the Republican Senate majority. "When Republicans assumed the majority in the Senate in January 2015, we pledged to return to 'regular order,' governing openly, processing bills through committee and opening the floor debate to members of both parties." Citing legislative accomplishments under Mitch McConnell's leadership – on infrastructure, education and the opioid epidemic – Sen. Murkowski makes a compelling case for using regular order in reforming health care. "I am convinced that by returning to regular order," affirms Sen. Murkowski, "we can find a bipartisan solution of enduring policy that lives beyond this Congress." I agree with Sen. Murkowski in encouraging a return to regular order of governing. My question is if regular order can work for health care reform, why can't it work for the Tongass Land Management Plan? Why did Sen. Murkowski seek out a special ruling to end-run a plan amendment built by a multiyear collaborative of diverse stakeholders, known as the Tongass Advisory Committee, or TAC? It seems completely out of character for her to work against an Alaskan-driven consensus process, particularly when it is focused on transitioning to second growth while maintaining a viable timber industry. Then after reading her high regard for regular order, I am more confused as to why she would seek out a special ruling to impose irregular order on a U.S. Forest Service plan amendment. Sen. Murkowski explains in a press release (Oct. 24) how she sought out a ruling from the Government Accountability Office that the Tongass Land Management Plan amendment, based on the TAC recommendations, is a "rule." If it is deemed a rule, then the Congressional Review Act applies and the plan amendment is subject to congressional review. The practical challenge of using the review act on the Tongass amendment is that if the Tongass amendment is a rule, then every amendment to every land management plan throughout the entire country is also a rule. There are hundreds of land management plans and, over the years, there have been thousands of amendments to those plans. Why abandon regular order and pursue this disruptive path to rulemaking? The answer lies in her press release. She believes the timber industry is not being served. To a degree she is right. The part of the timber industry holding out for a return to subsidized large-scale clearcutting of old growth is not content, and fails to recognize that those days are behind us. But the days of a viable timber industry dependent on second growth are ahead of us. The days of moving forest management into the 21st century are here now. Unfortunately, the only voice she appears to be listening to is the Alaska Forest Association, a group that disparages working toward a second-growth timber industry and consequently the work of the Tongass Advisory Committee. It is important to note that the advisory committee included three timber representatives in addition to Sealaska, Southeast's timber harvesting regional corporation. All these members voted in support of the committee recommendations. As a member of the committee (serving in the government seat), I learned about a "wall of wood" 10 to 15 years out and how the problem was getting enough second-growth timber available in the interim. It was clear we needed to access timber in non-timber areas and the advisory committee did this. It was also clear to the committee that the Forest Service needed to transition to having a more flexible, responsive timber program; one tooled for young growth. The committee also addressed this and the Forest Service accepted the challenge of making fundamental change in its district operations. Timber representative and co-chair Les Cronk noted in a press release at the conclusion of the committee's work, "The energy and focus of this group and the shared intent of achieving success has been inspirational. We all had a commitment to success and we achieved it!" Since the committee recommendations, there has been a core group made up of Native corporations, the state of Alaska, conservation groups and a timber operator in the Tongass working together to make the necessary changes for a modern timber industry. They've created a place where everyone is working pragmatically and coordinating for the benefit of a timber/forest management sector in Southeast Alaska. 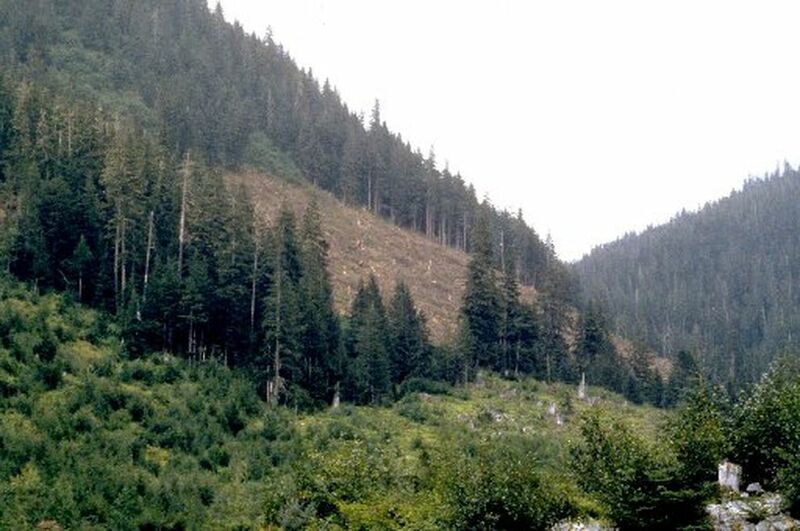 Consistent with the recommendations of the Tongass Advisory Committee, the state of Alaska and the U.S. Forest Service are undertaking a comprehensive inventory of the largest and most mature young-growth timber stands. This inventory will conclude in 2018, and will help inform how and where young-growth harvest will occur in the future. Nothing in the plan amendment prevents the Forest Service from continuing to offer old-growth timber to help bridge the gap until such a time as young-growth stands become merchantable. It would be a shame to undo all this progress, not just for a transitioning timber industry, but also for the region's major sources of employment: fishing and tourism. The plan amendment was the first time that diverse stakeholders on the Tongass were able to form a joint vision for the region that moved beyond the constant conflict over old-growth logging. Reversing the plan amendment will signal a return to the timber wars, increased conflict and litigation, and will ultimately do a disservice for the region's economy. I've been around the timber wars in Southeast Alaska since 1989. I understand what a gift it is to not only have a plan supported by timber and conservation interests alike, but to have them working together to implement it. It's worth holding on to, even under the "regular order" of governing. Kate Troll is the author of "The Great Unconformity: Reflections on Hope in an Imperiled World." She has more than 22 years of experience in Alaska fisheries, coastal management and energy policy. She lives in Douglas.